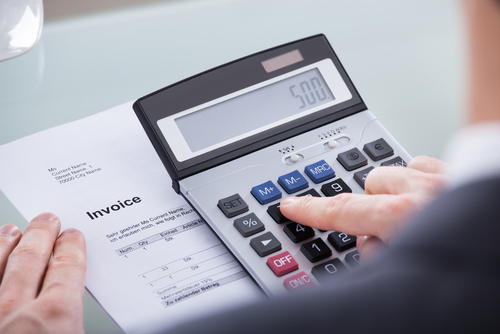 Your e-commerce is growing and you’re losing control on some of your orders in transit? Do you experience customers always asking about their order so that you are not able to answer everybody? Don’t worry: if you’re experiencing this, it means you’re growing! What is important, is having a good order tracking system. 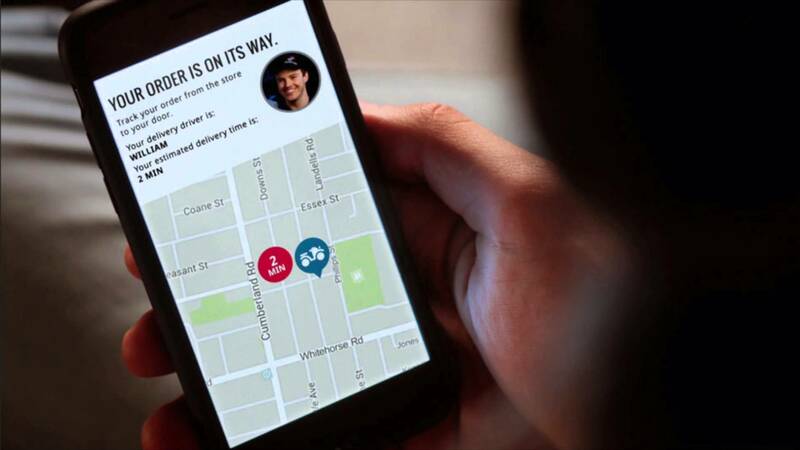 Today we’ll show you a tool developed by ShippyPro‘s team: an order tracking application certified by major couriers and marketplaces. 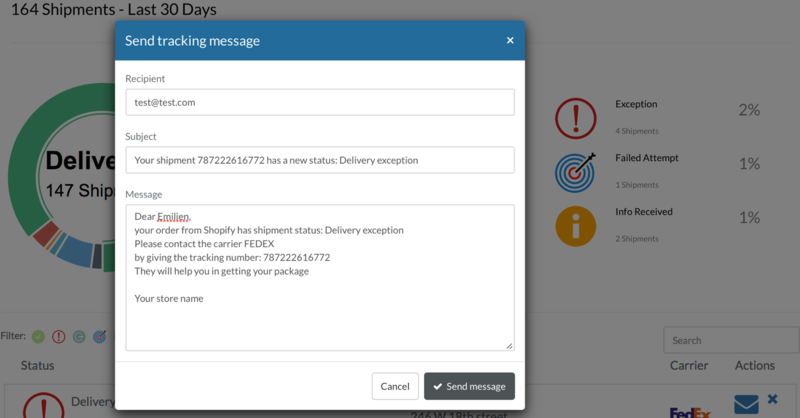 Shippypro’s order tracking software has really powerful features! 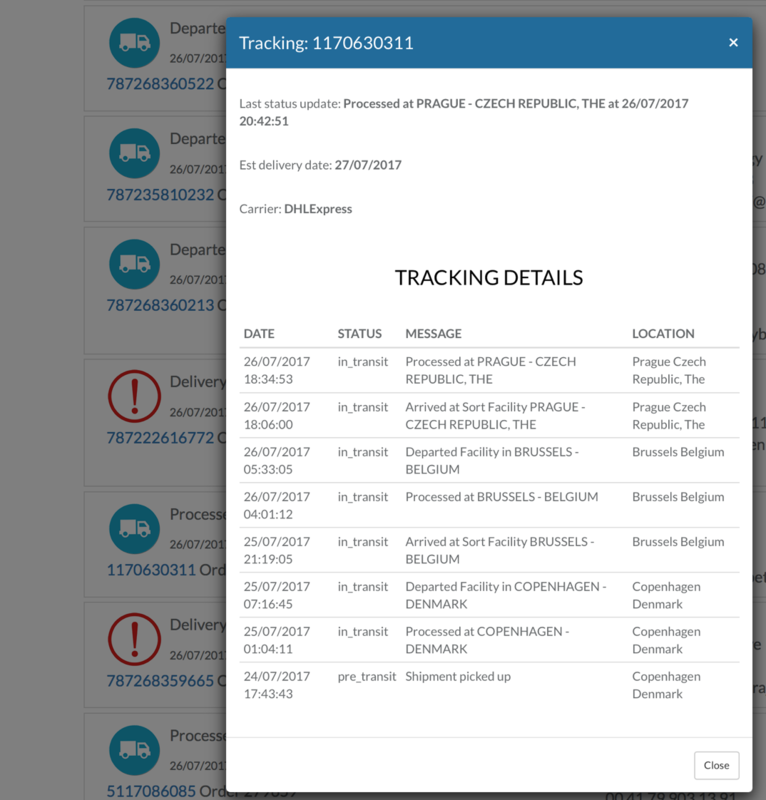 Clicking on “order tracking” next to any shipping, you will see all the updates registered by the order tracking software in a fast way (and of course, without needing to check on the courier’s website or order tracking app). 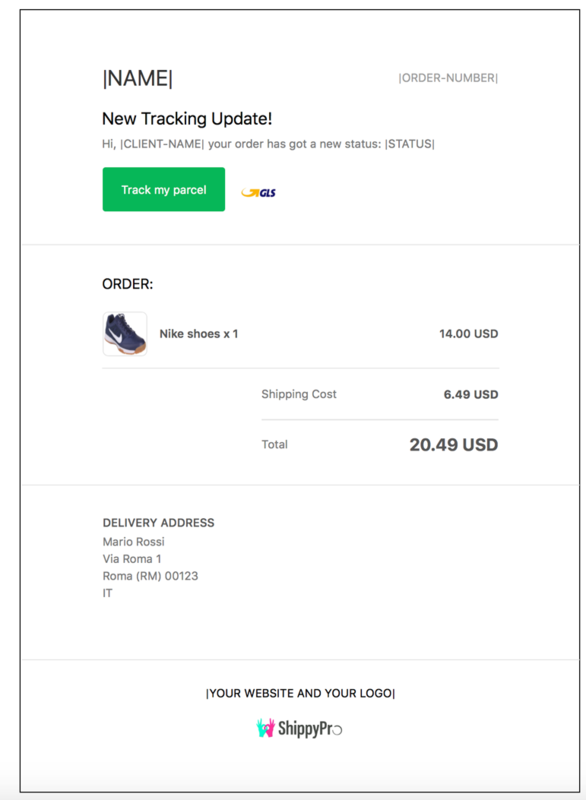 Just with another click, you will be able to send an automated email when your delivery goes in “Exception” status, asking your customer to provide additional info and contact the courier in order to schedule another delivery attempt. ShippyPro’s transactional emails are one of the tools that allow our users to reduce the time they dedicate to customer care up to 70%. Every time a change in the delivery status happens, customers receive live update emails so that they’re always perfectly informed. Of course, you will always be able to fully customize the email template, providing your logo and customizing the message on your customer. 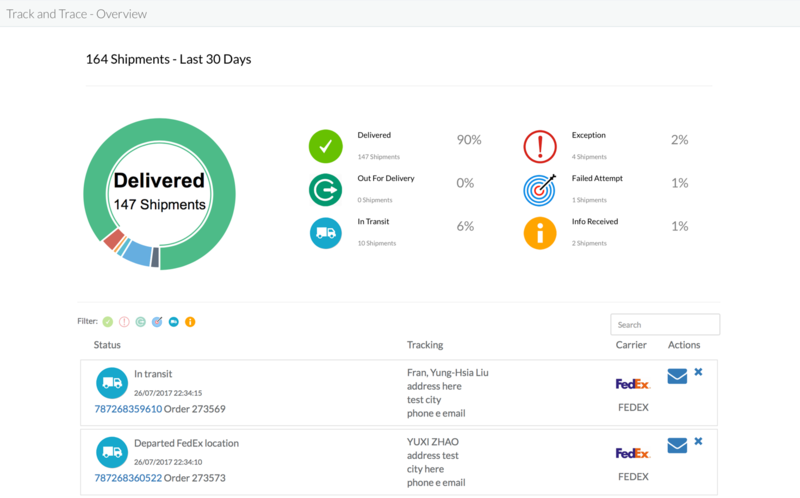 Shippypro allows also to generate a customized order tracking page: your customers will access from the link provided in the tracking mail directly to a page with all tracking updates, customized with your name and logo. So, create right now a free Shippypro account in order to prove us: it is free forever, up to 30 order per month.. take all the time you need to try it! 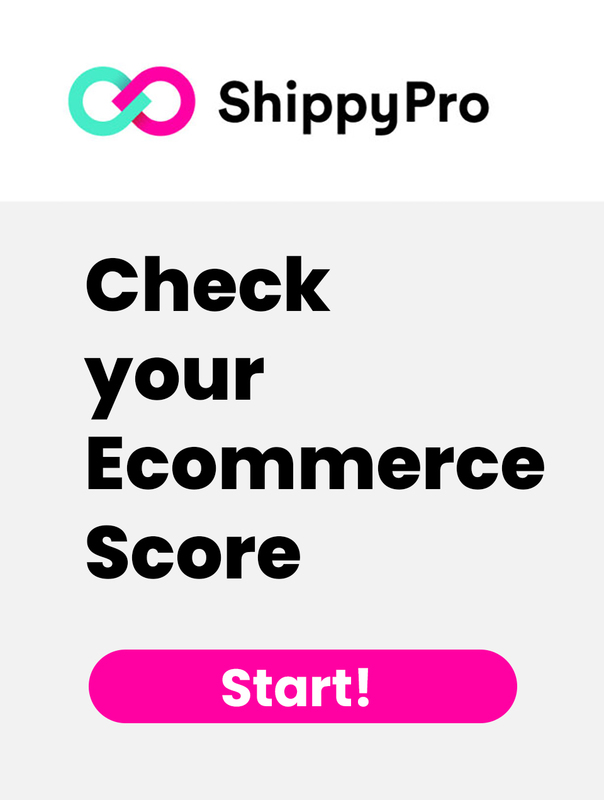 You’re not requested a credit card or a fee to try our solution: you will only pay if you think Shippypro could really help your growth.